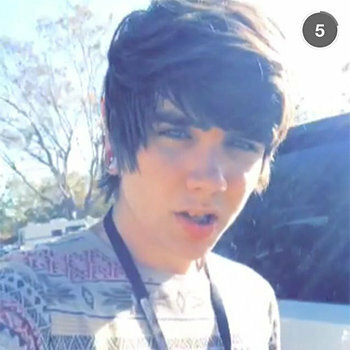 American online Personality and YouTube sensation who earned his popularity through his channels DamonFizzy and DeeFizzy which has attracted a wide range of followers on YouTube. He was born in California and grew up in Spring Hill, Florida with his younger brother Devon who has appeared in his YouNow broadcasts. In 2014, he worked with Vans Warped Tour and was also invited by Ford to be an Agent for the Fiesta Movement. He posted a complete makeover video with Matthew Lush in June 2015 titled "THE NEW ME!!" Damon has made clear that he has not in relationship with any girls till the now. This does not mean that he has said that he is gay. Damon was once rumored that he was in relationship with YouTube sensation Carson Fanikos, and also with Taylor Swift but he denied it clearly. Daniel Kyre is a popular musician and comedian, who co-founded the Youtube channel named Cyndago, along with two mates Ryan Magee and Matt Watson. Sylvia Gani beauty fashion, lifestyle, blogger and vlogger on YouTube who has her own self-titled channel. Her channel is all about makeup, beauty tips, fashion tutorial. Aphmau is one of the popular YouTuber who is better known for her outstanding roleplays of Minecraft characters.She has over 3 million subscribers on YouTube channel and millions of views. Charles Green is better known as Angry Grandpa or simply AGP is a popular internet personality. He appeared on TruTV's Most Shocking, Rude Tube, and MTV's Pranked. He uploads his video to his two channels TheAngryGrandpaShow and Grandpa's Corner.